I would be the first to admit that the creamy fluffy floral clusters of this small(ish) tree are not showstoppers though they are pretty enough in their own way and make a change for autumn flowering. Nor are the long narrow leaves eye-catching though the red-brown velvety new growth is very tactile. In fact, the visuals of this plant are remarkably modest especially when you consider it is an Australian from the coastal rainforests of Queensland and northern New South Wales. The knock-you-dead aspect is the lemon fragrance when you crush or even brush past a leaf and the flowers also exude wafts of lemon. It has quite the most delicious lemon scent of any plant I know, bar none. This is apparently because Backhousia citriodora, commonly referred to as the lemon myrtle, has higher concentration of citral (lemon oils) than many other plants, including lemon verbena. In fact it is harvested commercially for lemon flavouring. I have to admit that I have not tried it in a culinary context but I will do so. You can apparently use the leaf whole (like a bay leaf) or chopped and it will give a lemon flavour without the problems of curdling, even in milk puddings. So I have read. While not overly hardy, if given some protection when young, the backhousia should be able to grow throughout most of our area. I have seen it in a protected valley in Canberra Botanic Gardens where apparently it can survive frosts of 8 degrees. It is a member of the myrtle family and it can be clipped. This may be a plant to put alongside a bay tree in the vegetable garden or plant it by a path so you can pluck a leaf to sniff when you pass. 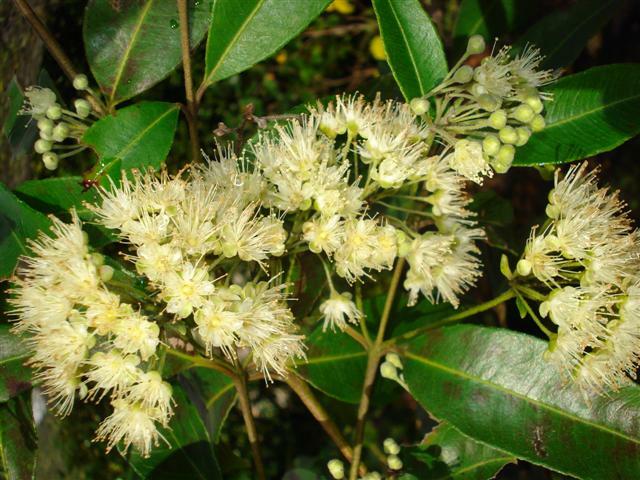 This entry was posted in Plant collector and tagged Abbie Jury, Backhousia citriodora, lemon myrtle, lemon scent, The plant collector on 28 May 2010 by Abbie Jury. How tall does this grow and how wide please? Unclipped, it will reach around 4 metres high and 2 metres wide over time (about 10 years or longer) – it is never going to be a forest giant.